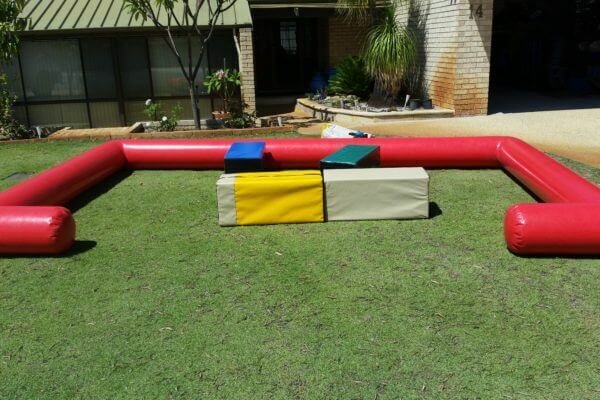 There are few places in Australia more suitable than Perth for taking advantage of our great inflatable hire packages. 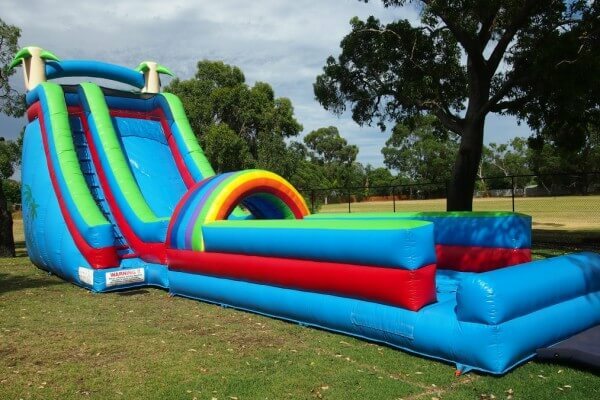 With our extensive range of outdoor inflatables, which includes inflatables such as water slides and bouncy castles, your next party or special event will definitely make a real splash. 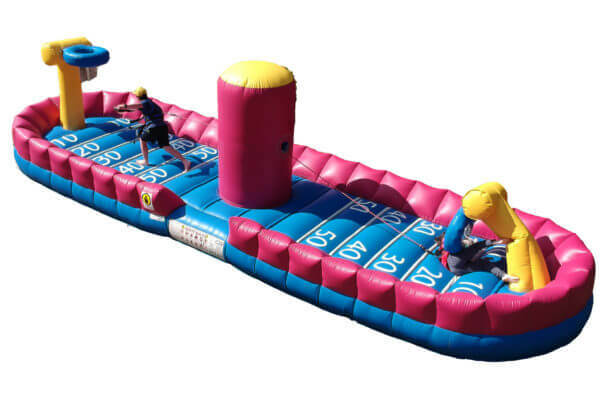 Create an action-packed occasion to remember with our premium quality inflatable games, obstacle courses and slides which can be enjoyed by adults and children alike. 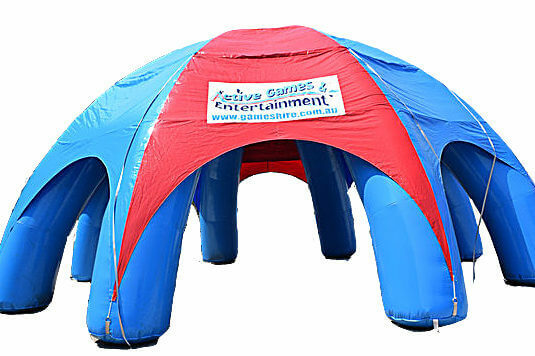 Whether it’s a small party at home, or a much larger work or sporting club occasion, we have a great collection of entertaining inflatable hire products that everyone will enjoy. 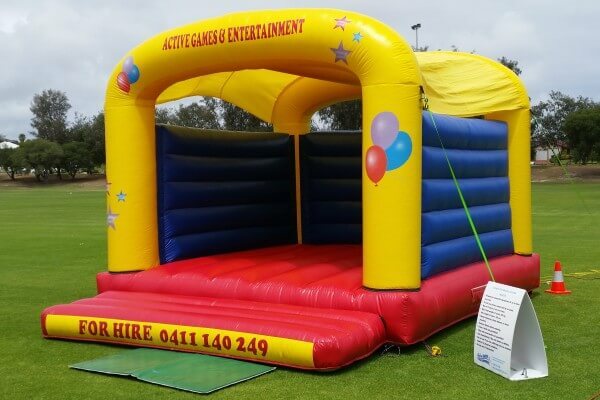 At Active Games and Entertainment, we specialise in inflatable hire and are proud to say that we now have one of the biggest and most extensive selections around. 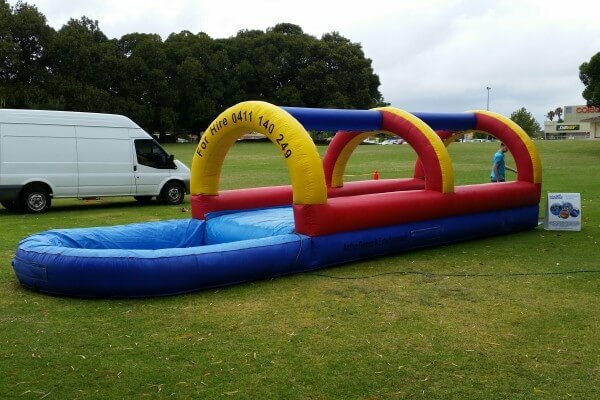 We have inflatables designed to suit any sort of occasion and all sizes of events, so if you need something that fits in the backyard for a kid’s party, or are looking for something large-scale and spectacular that really makes an impact, we have what you need. Our inflatable hire packages are flexible and can be designed to meet your specific needs, so if you want to hire an inflatable for just a day or for a longer period, we can tailor an arrangement that works for you. And although our focus is the Perth metro area, if you want to arrange inflatable hire elsewhere in Western Australia, let us know and we will do our best to accommodate you. 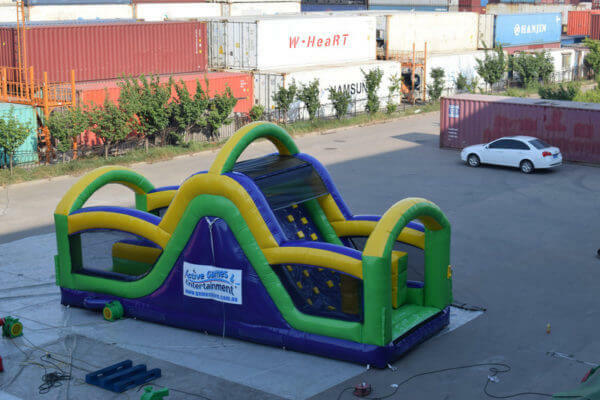 We can also arrange the delivery, collection and set up of all our inflatables, as well as provide trained staff who can assist you in their safe operation. 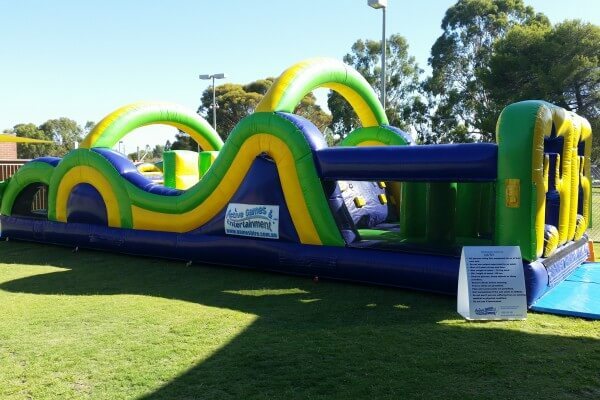 Whether you are looking for a bouncy castle suitable for the back yard, a water slide that can be set up on your sports club oval — or anything else in between — Active Games and Entertainment is your Perth inflatables hire expert. 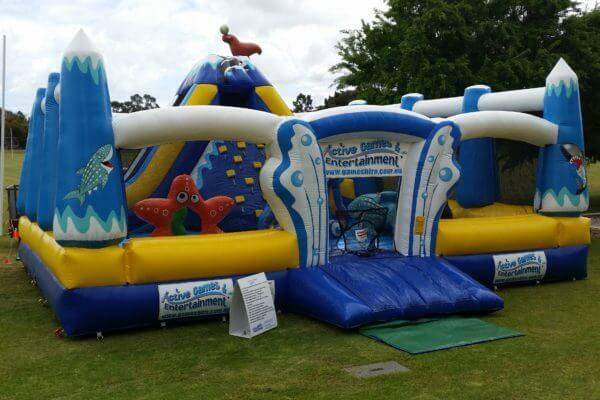 We feature a huge range of inflatables suitable for all age groups and any type of event. Our inflatables vary in size, so whether you are confined to your back garden or have a much bigger space available, we can find the inflatable hire package that’s right for you. Cliff Jump: Take the plunge and jump from a 2 metre high platform onto a soft landing bed. 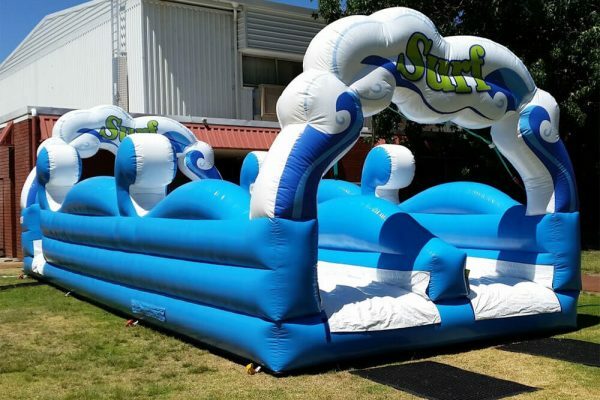 Surf’s Up: A fun, 17.5 metre long obstacle course that can be used either dry or with water. Bubble Wash: An inflatable water playground that’s ideal for having water fights. 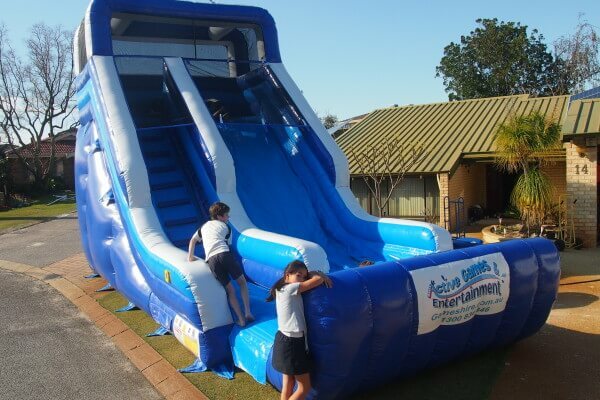 Single Lane Super Slide: A 20 metre long water slide suitable for both adults and kids. 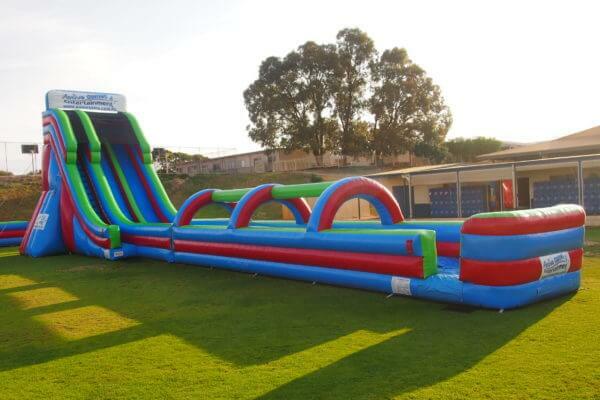 2 Lane Mega Slide: A 26 metre long water slide with two lanes that’s ideal for when you’re hosting a big crowd. Radical Run: An exciting obstacle course packed with a variety of running, jumping and climbing challenges. 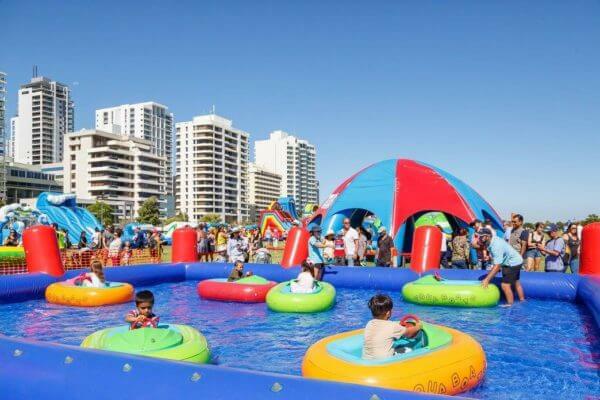 Giant Water Slide: Perth’s largest inflatable water slide! Use dry or with water and great fun for both adults and kids. 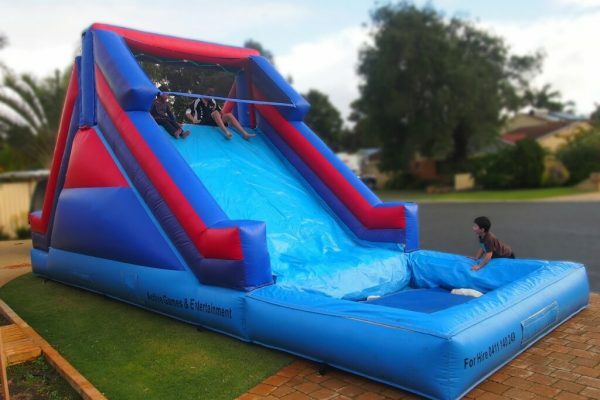 Blue Wave Water Slide: Big on fun but small on the space required, this water slide can fit in most backyards. Fantastic Surf: Two lanes of slip’n’slide fun that both kids and adults can enjoy. Slip n Slide: Run up, slip and then slide your way into a water pool. 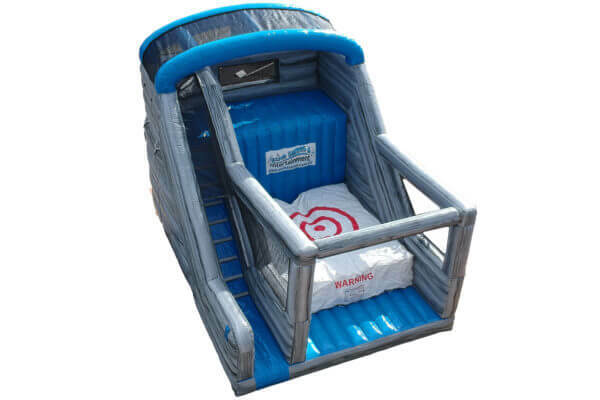 8.5m Water Slide: A water slide that’s ideal for younger kids and features a small pool at the bottom. 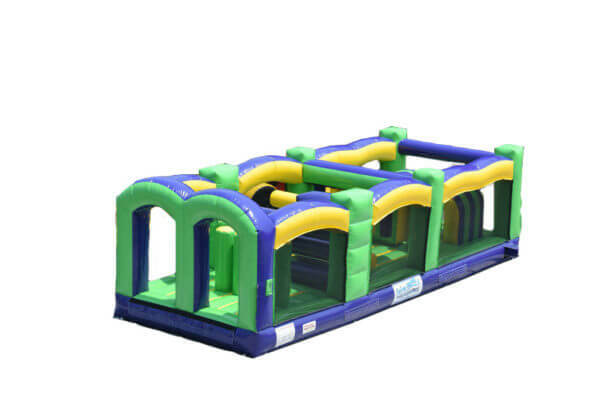 Inflatable Obstacle Course: Climb, slide and dodge your way around this obstacle course that 4 people can use at a time. 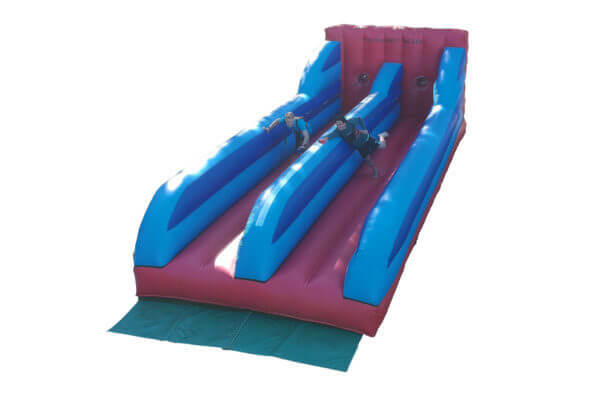 Radical Run – Slide: Featuring a climbing wall and a double lane slide, this can be used on its own or with our Radical Run – Obstacle inflatable. 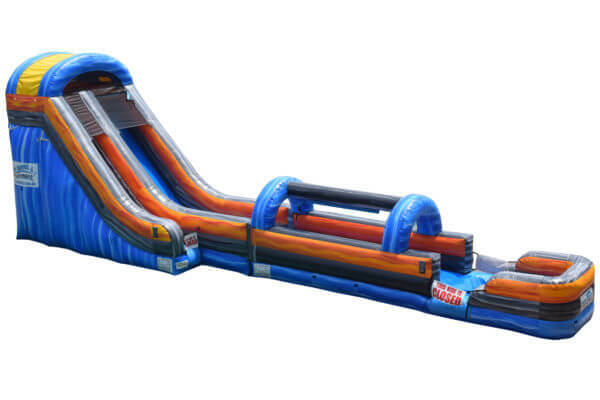 Radical Run – Obstacle: This can be combined with Radical Run – Slide, and features a variety of challenges and obstacles. Pacific Combo: A bouncy castle, climbing wall and slide all rolled into one. Can be used by up to 15 people at a time. 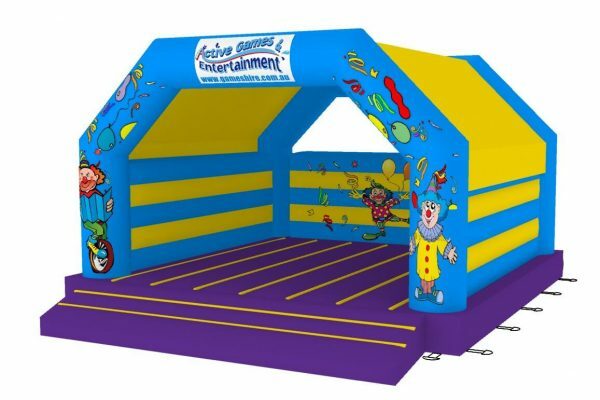 Circus Bounce: A circus themed bouncy castle suitable for up to 8 users at a time. 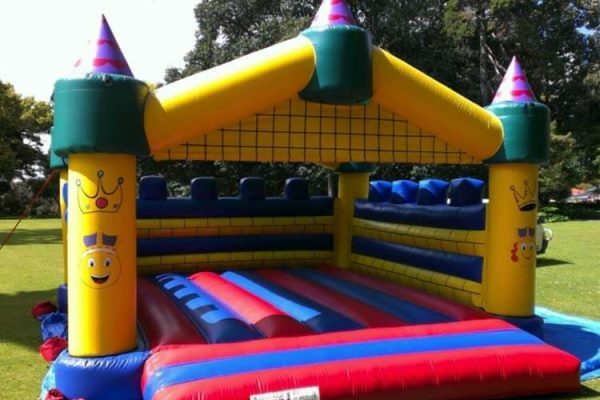 Kings & Queens Castle: An enormous 8m x 6m bouncy castle ideal for when you have a big crowd to entertain. 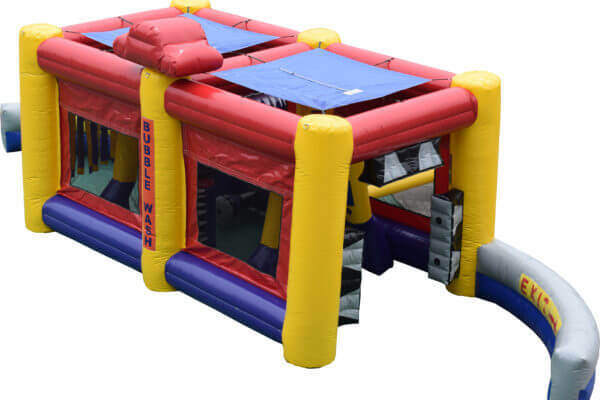 Jumpin Fun: A bouncy castle that’s perfect for smaller kids and compact enough to fit in most backyards. Toddler Play Pen: A great way to keep the littlest ones both safe and entertained. 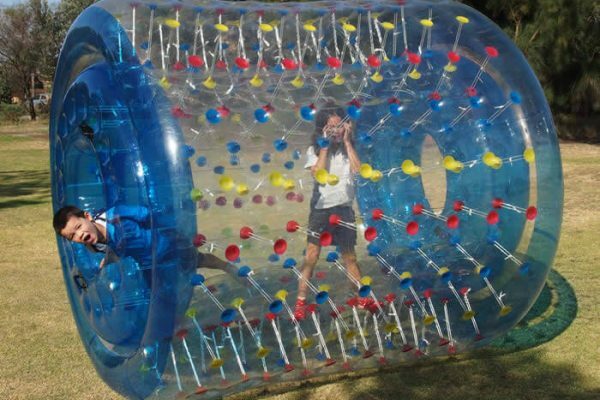 Giant Zorb Balls: 3 metre Zorb balls — fun on their own, or race against your friends on our Zorb Track. 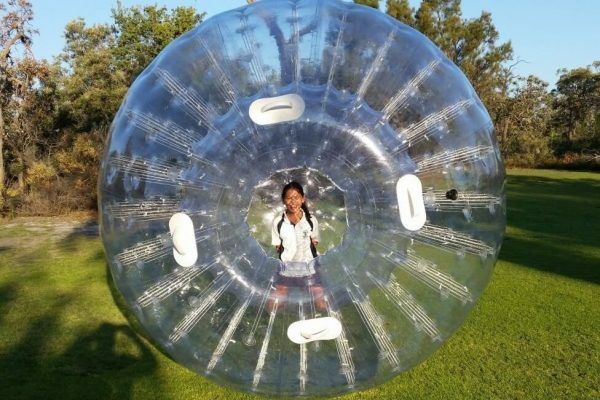 Body Zorb Soccer: Play the world game with our 1.5m or 1.8m Zorb balls in an inflatable arena. Water Rollers: Great for use on a grassy surface or in our Bumper Boat Pool. Can be used by 2 people at a time. 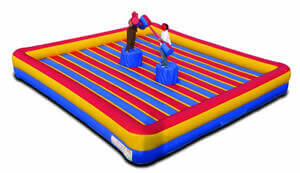 Gladiator: Battle it out on an inflatable bed with two platforms in the middle — try to knock your opponent of their throne. 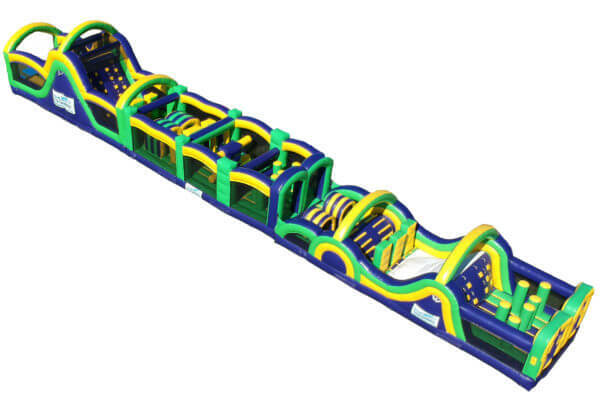 2 Lane Bungee Run: Race against your friends — and the bungee cord — to get to the flag first. Bungee Slam Dunk: Challenge your friends to beat the bungee and make a slam dunk first. 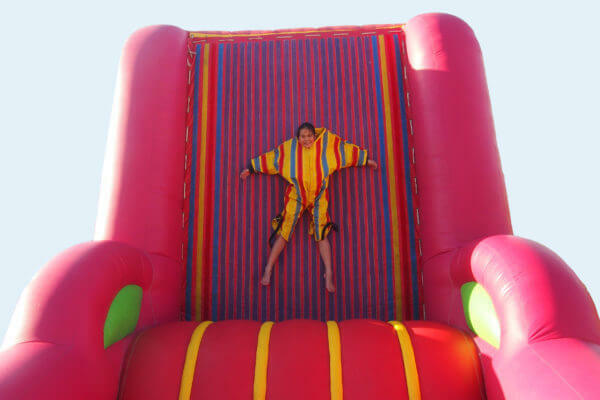 Velcro Fly Wall: Put on your velcro suit and then launch yourself against the wall to see how well you stick. 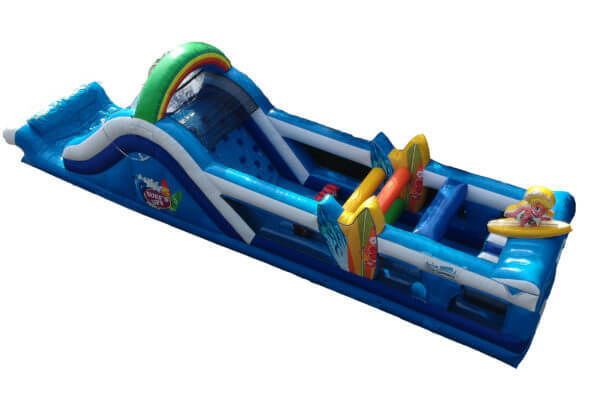 Aqua Bumper Boat: Fun bumper boats for younger children, or use the pool with our Water Rollers. Inflatable Tent: An enormous inflatable tent (10 metres in diameter and 5 metres high) for when you need shade from the Perth weather. 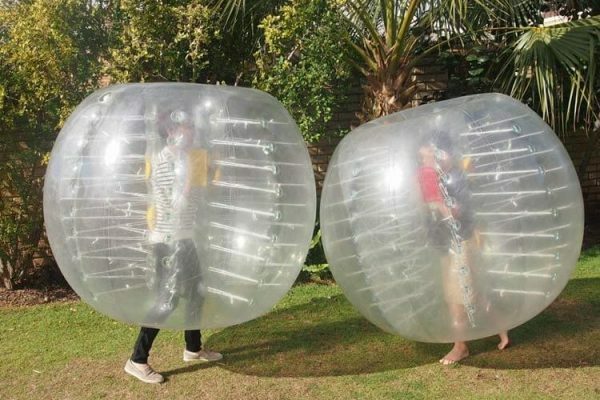 As well as our inflatable hire packages, at Active Games and Entertainment we have a huge range of outdoor and indoor games, dunk tanks and Sumo suits that make a great addition to any sort of party or special occasion, and which can be enjoyed by people of all ages. 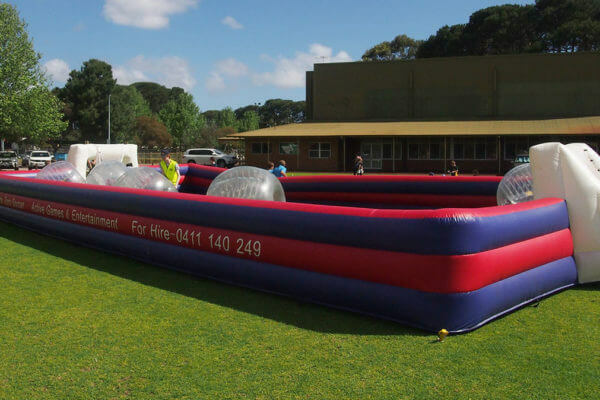 If you want to find out more about our inflatable hire, contact us on 0411 140 249 or 1300 834 346 and let us help to make your next party an unforgettable occasion.